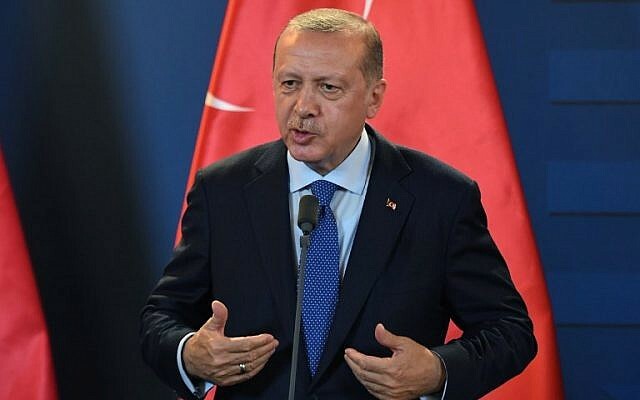 ANKARA, Turkey (AFP) — Turkish President Recep Tayyip Erdogan on Monday asked Saudi officials to prove their claim that missing journalist and Riyadh critic Jamal Khashoggi left the Saudi consulate in Istanbul. Erdogan’s comments’ came after media reports said his government sought permission from Saudi authorities to search the consulate premises in Istanbul. 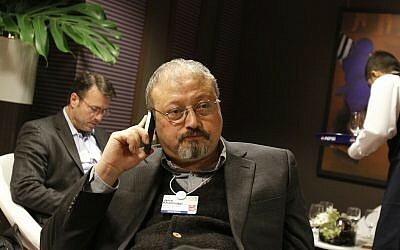 Police said at the weekend that around 15 Saudis, including officials, arrived in Istanbul on two flights on Tuesday and were at the consulate at the same time as Khashoggi. Protesters gathered outside the Saudi consulate on Monday with banners reading “We will not leave without Jamal Khashoggi,” demanding to know what had happened to him. Saudi Crown Prince Mohammed bin Salman previously told Bloomberg that Riyadh was “ready to welcome the Turkish government to go and search our premises,” which is Saudi sovereign territory. US President Donald Trump and his administration have not commented on the fate of Khashoggi, but a top Senate ally of Trump warned of a “devastating” impact on the US alliance with Saudi Arabia if allegations are confirmed. Saudi Arabia launched a modernization campaign following Prince Mohammed’s appointment as heir to the throne with moves such as lifting a ban on women driving. 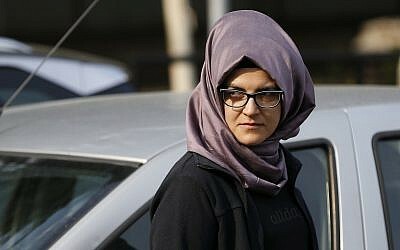 But the ultra-conservative kingdom, which ranks 169th out of 180 on RSF’s World Press Freedom Index, has been strongly criticized over its intolerance of dissent with dozens of people arrested including intellectuals and Islamic preachers.